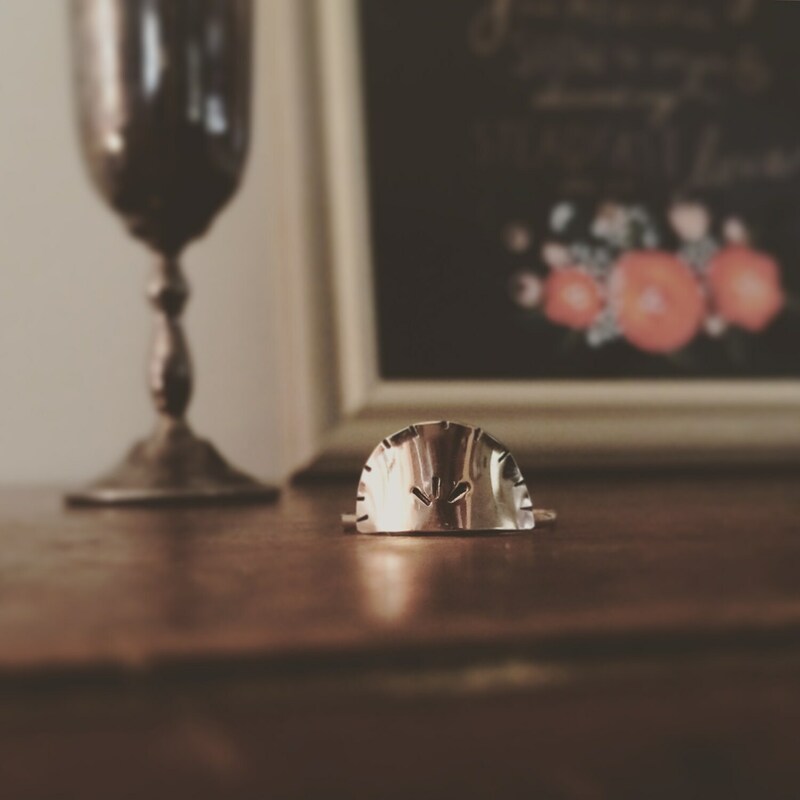 This ring is inspired by the many arches and old architecture of my Thracian roots and homeland of Bulgaria. A 14k gold filled, hand-cut and stamped arch rises from a 14k GF, smooth band. The arch follows the curve of the band and wears very comfortably. Please be sure to include your ring size when checking out. 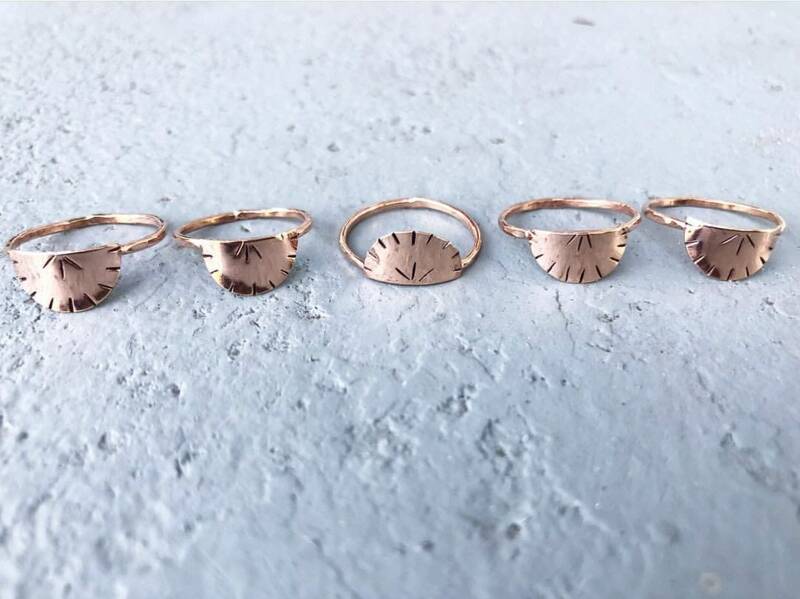 * Each ring is hand made. You will not be receiving the ring pictured above, and due to the unique nature of the piece, each ring may vary slightly with its markings and accents. That's the beauty of hand crafted jewelry- no one piece is exactly the same.